« Guest post: Four-way diagonal comparison! Hi Matt. I really like the simplicity of your Manfrotto/UA mount, and am considering a similar setup for my 90mm Mak (and Canon DLSR). 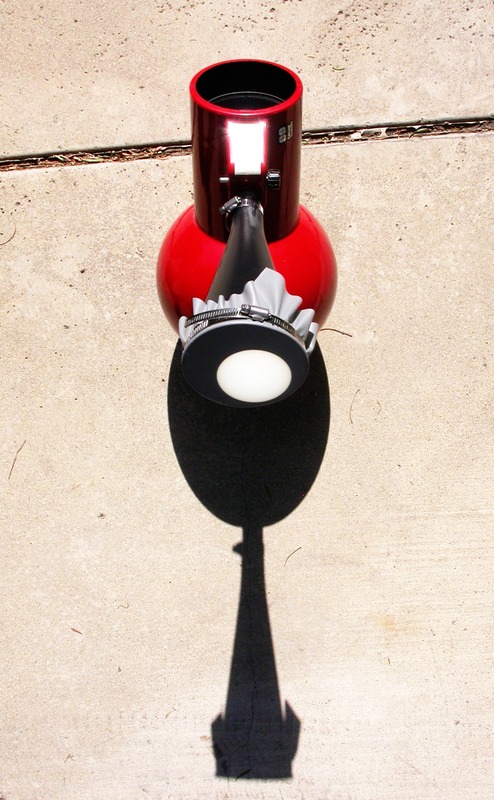 However, I wish I could find a mount similar to the UA DwarfStar but which includes the slow-motion controls similar to the Vixen Porta Mount. Do you know if the Porta Mount is proprietary to its own tripods or will the Porta Mount fit atop a Manfrotto tripod? Or if you have any other suggestions for a mount like I’m describing, I’m all ears! 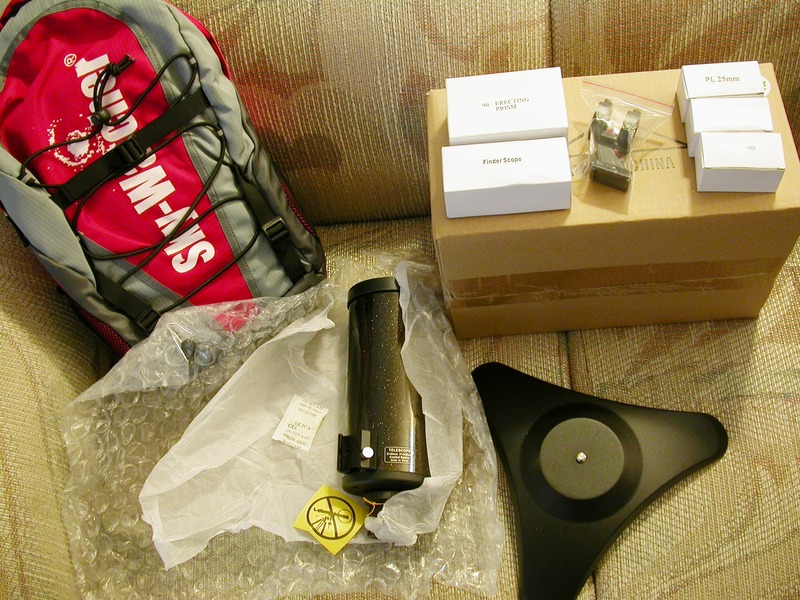 Kudos once again on your blog! Quite enjoyable! The Vixen Porta II Mount (the latest version of the Porta Mount) has a detachable head and should fit atop a sturdy Manfrotto tripod with a 3/8-16″ screw. 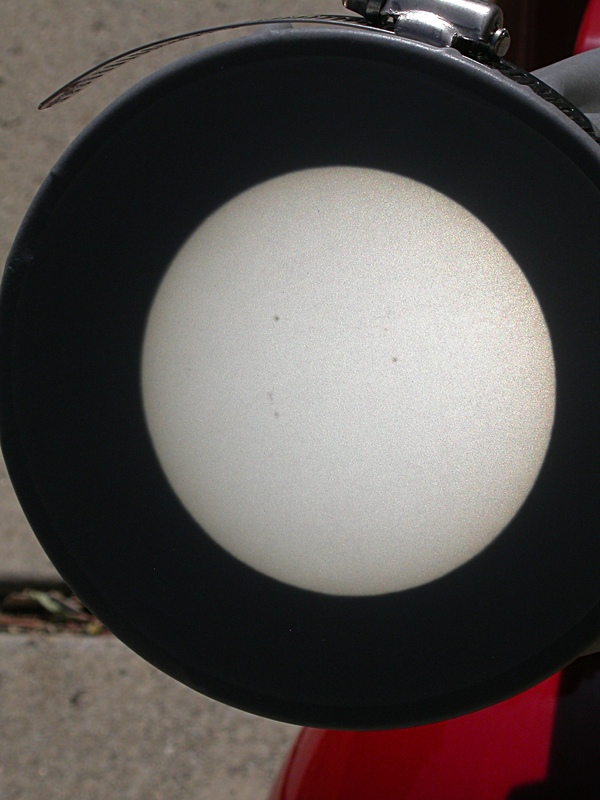 Obviously, the sun gives off far, far more than sufficient light for you to be able to stop down the scope a lot like this, and still be able to see the surface well. But doesn’t stopping down the scope this way eliminate a lot of resolution? The smaller the aperture, the less detail you’re going to see. 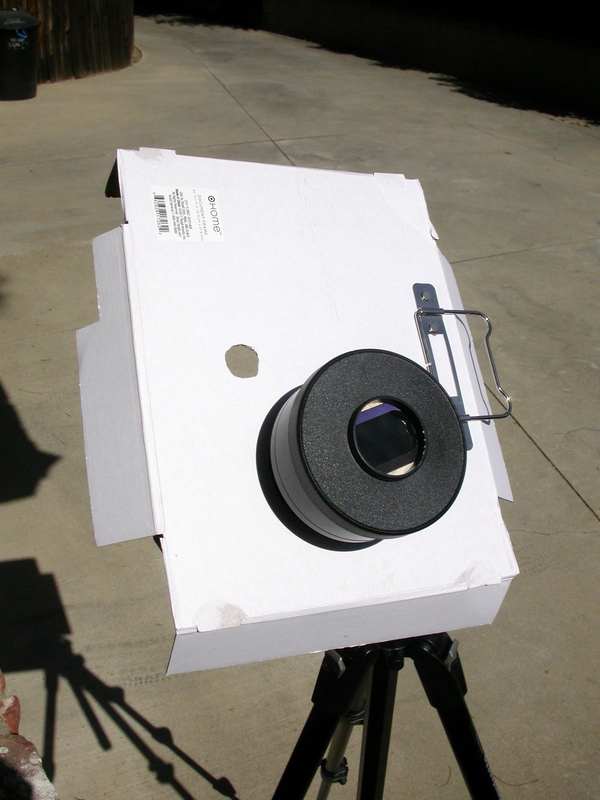 Me, I would want to build a solar filter out of some nice, cheap, Baader film to cover the entire aperture of the scope so as to be able to see as much detail as possible. I see that you ended up doing this in a later post, but why not just start out this way? Necessity (and poverty) are the mothers of invention. 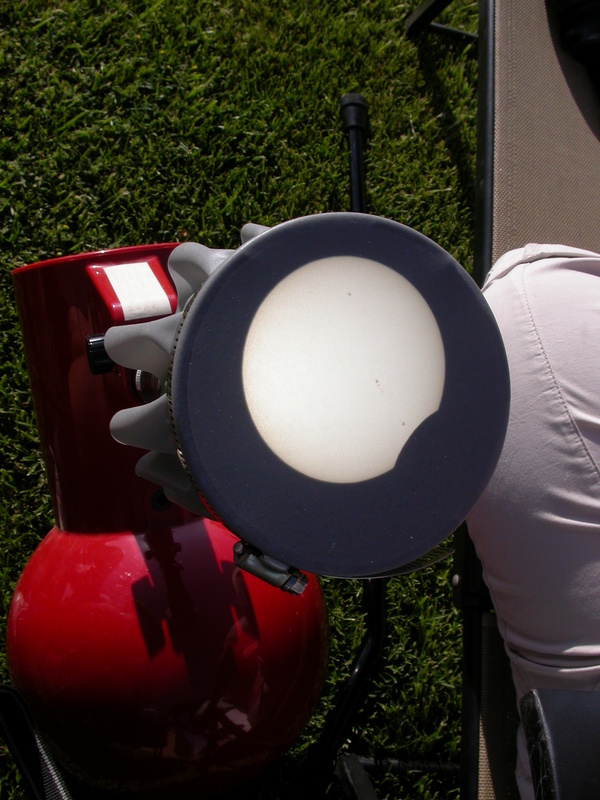 In the run up to the annular eclipse and Venus transit in 2012, lots of places were sold out of solar filters months in advance, especially the big ones. I suppose I could have ordered a big sheet of Baader solar film, but I was saving my money for the eclipse trip. 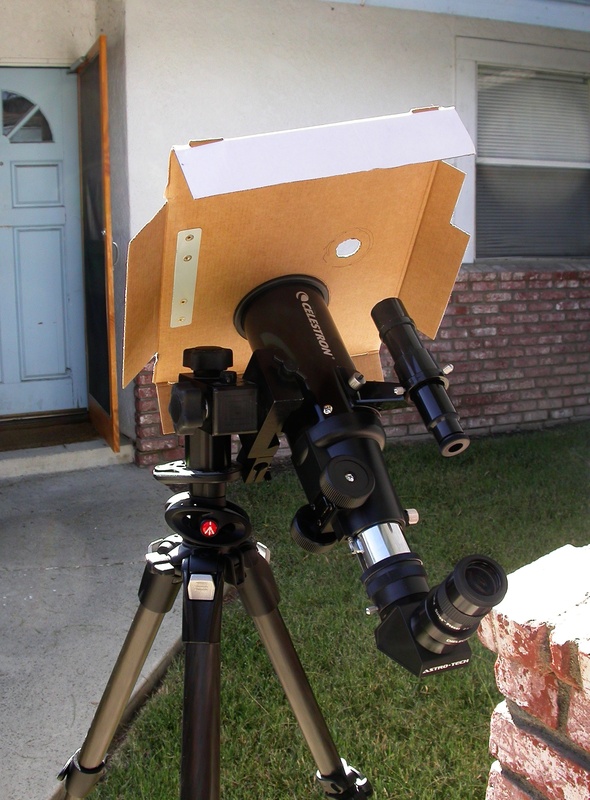 I didn’t decide to make a stopped-down solar scope out of the TS70 instead of ordering a big solar filter; since I had no intention of the doing the latter, it was make a small filtered scope or none at all. 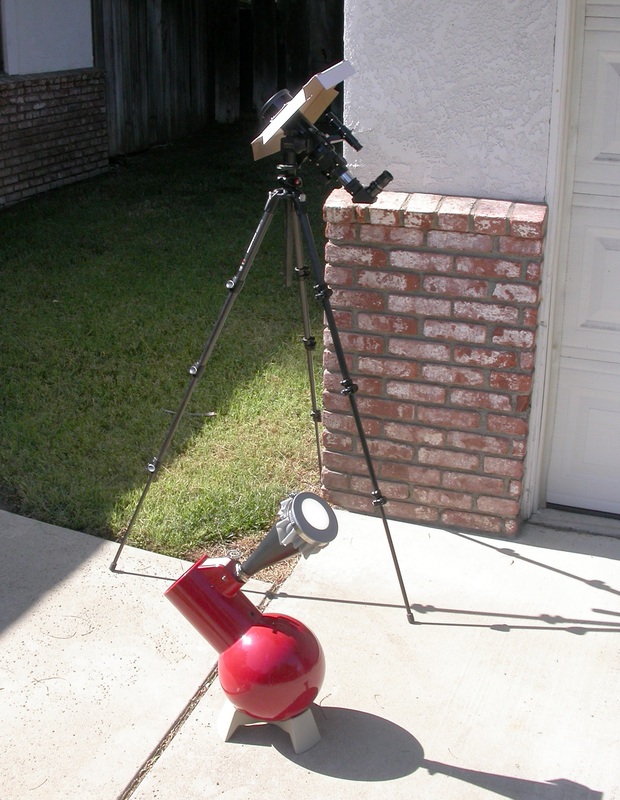 You’re right, of course, to state that a bigger aperture solar scope would show a lot more detail. 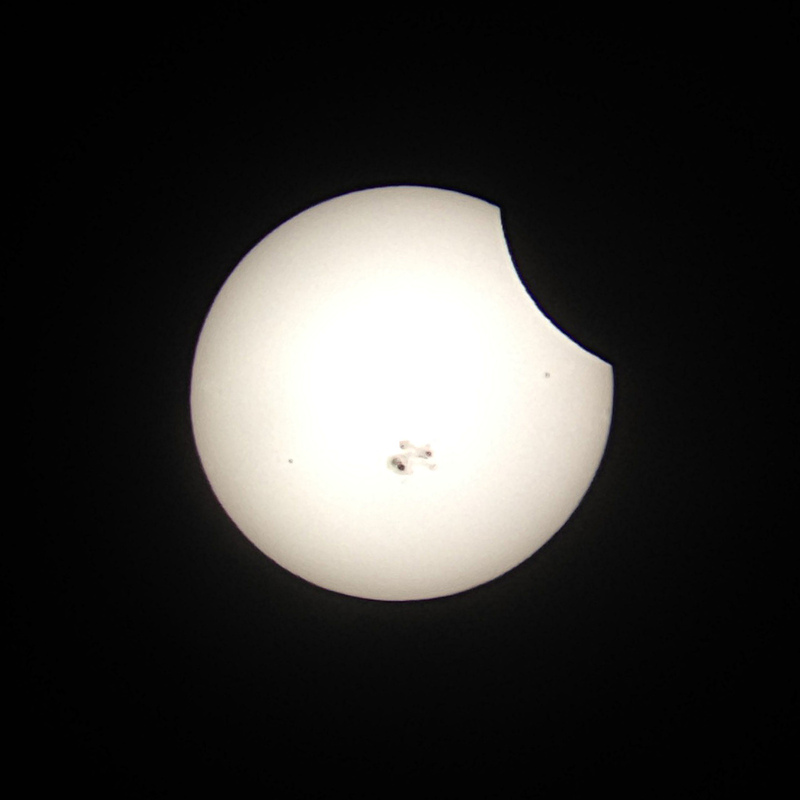 But I’m pretty happy with the level of detail I’ve gotten out of my tiny solar scopes. 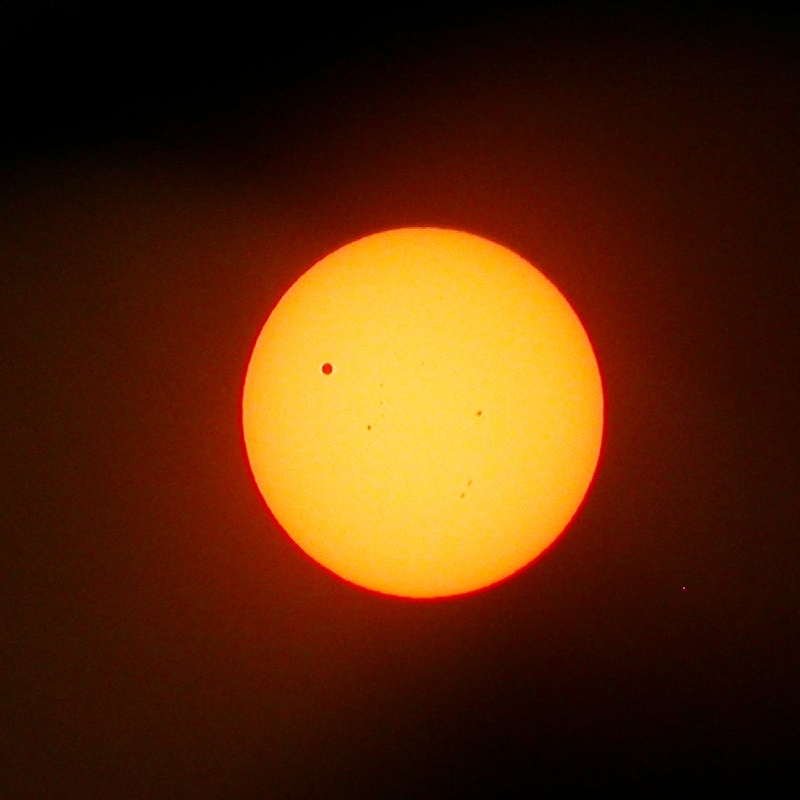 Here’s the best photo of the Venus transit from the stopped-down TS70 (25mm), and here’s the best photo of the recent partial eclipse in the Galileoscope (50mm). 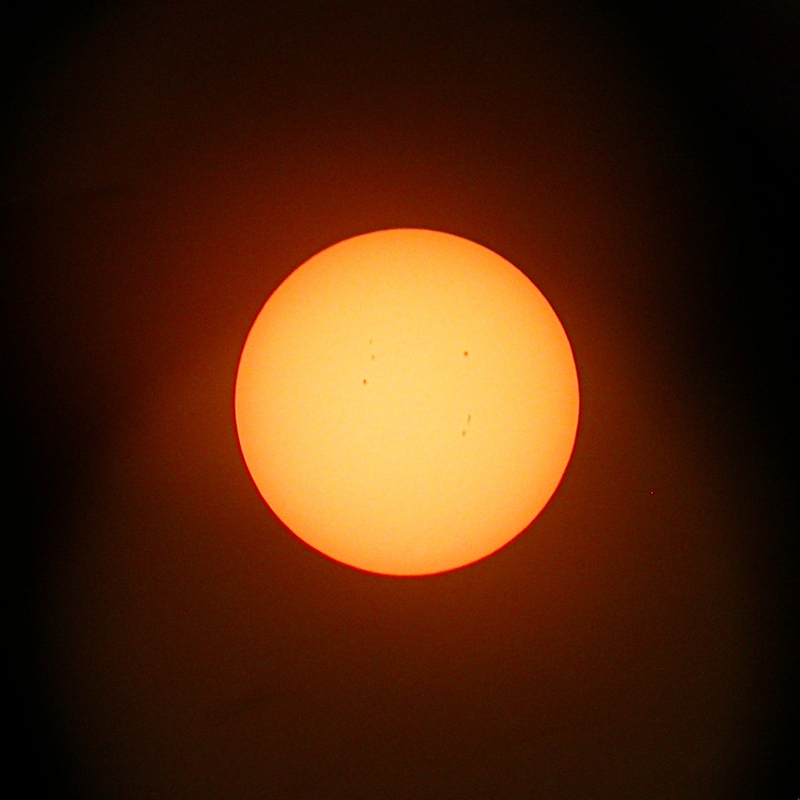 As you point out, the sun is bright enough that you can get decent results even with very modest gear.